Provo • BYU billed Thursday’s visit from No. 4 Gonzaga as an opportunity to create some Marriott Center magic, the kind that enabled the Cougars to go 10-1 at home. Then they pulled a disappearing act. The powerful Zags dominated from start to finish, took advantage of some frosty BYU shooting, and crushed the Cougars 93-63 for their fourth straight win in the series, and fifth straight at the 19,000-seat arena. Before a national television audience (ESPN2) and an announced crowd of 15,396, Gonzaga improved to 20-2 overall, 7-0 in the West Coast Conference, with a wicked and suffocating display of explosive offense and clamp-down defense. 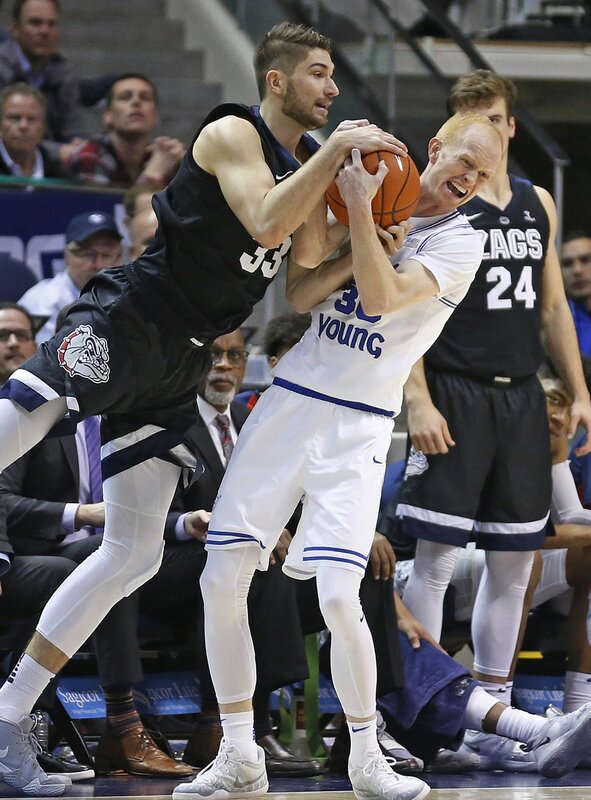 It was BYU’s second-worst loss ever at the Marriott Center. The Cougars fell 90-42 to New Mexico at home in 1997. 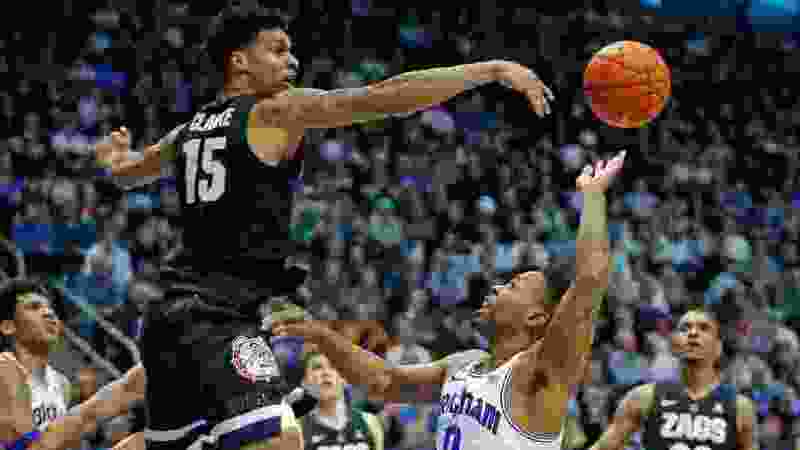 How does this Gonzaga team compare to the one that made it to the national championship game in 2017? The Cougars fell to 13-10 overall, 5-3 in the WCC, and will try to regroup for Loyola Marymount’s visit Saturday. The rematch with Gonzaga is Feb. 23 in Spokane, where unbelievably BYU has won three of the last four matchups. The road team has won eight of the last nine contests in the rivalry. Yoeli Childs reached double figures for the 29th consecutive game with 12 points before fouling out, and TJ Haws added 16. But as has been the case all season, they got little help until garbage time. Zac Seljaas chipped in 13, making three 3-pointers. “They do a great job of taking you out of your stuff and messing up your rhythm a little bit,” said Haws, who was 7 of 14 but battled foul trouble in his 32 minutes. San Jose State transfer Brandon Clarke made the first eight shots he took and finished with 23 for Gonzaga, which shot 59 percent and held the Cougars to 37 percent. Rui Hachimura added 20 and Corey Kispert 16. Josh Perkins had 10 assists. “The most impressive thing is how many assists they have in a game, game after game,” Rose said. The Zags had 21 assists, BYU just 11. A lot of that was because the Cougars couldn’t finish at the rim, missing several bunnies and easy, open shots. At no time was a Gonzaga victory in doubt, but the Cougars did cut a 52-32 Zags lead to 14 with a mild run around the 13-minute mark of the second half. However, Killian Tillie, who was otherwise having a quiet night after he blistered the Cougars in last year’s WCC tournament championship game, hit a 3-pointer from the corner after a timeout and the Zags were back in control. 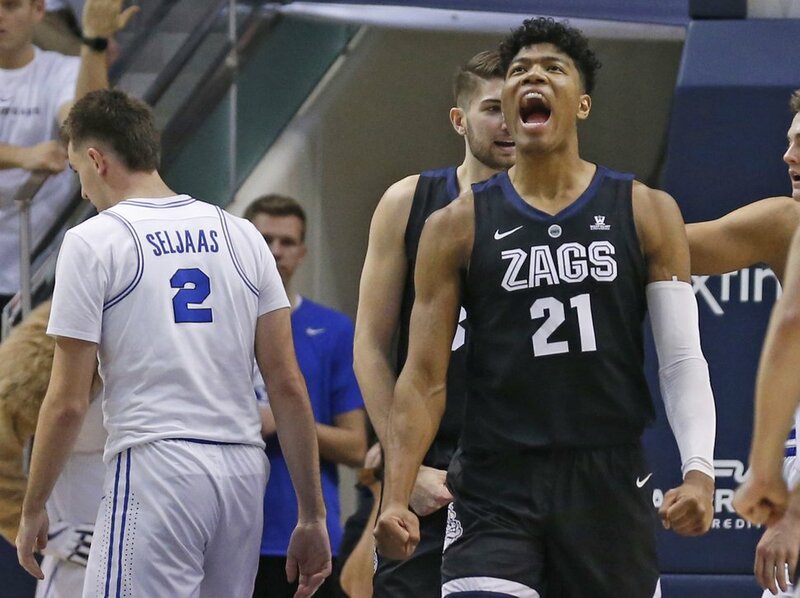 The Cougars actually led 3-0 in the game — the Zags had trailed for fewer than four minutes combined in their six previous WCC contests — before Gonzaga scored seven unanswered points and put an end to the fun. The Cougars shot 27 percent in the first half, while the Zags were getting all kinds of close-in looks and dunks and shot 51 percent. Former starter Jahshire Hardnett played for the first time in five games for BYU, and hit a 3-pointer to cut Gonzaga’s lead to 23-18 in the first half when the Cougars were actually looking like a team that could challenge the former No. 1-ranked squad in the country. He finished with seven points in 16 minutes. Childs didn’t attempt a shot until fewer than 14 minutes remaining in the first half and had eight points and five rebounds before the break. Rose said the Cougars and Childs didn’t handle Gonzaga’s double-teaming well, something he thought before the game would favor BYU. Freshman Gavin Baxter started the second half in the place of senior Luke Worthington, and showed some flashes. “We are trying to get him some confidence so he can play more and more,” Rose said.